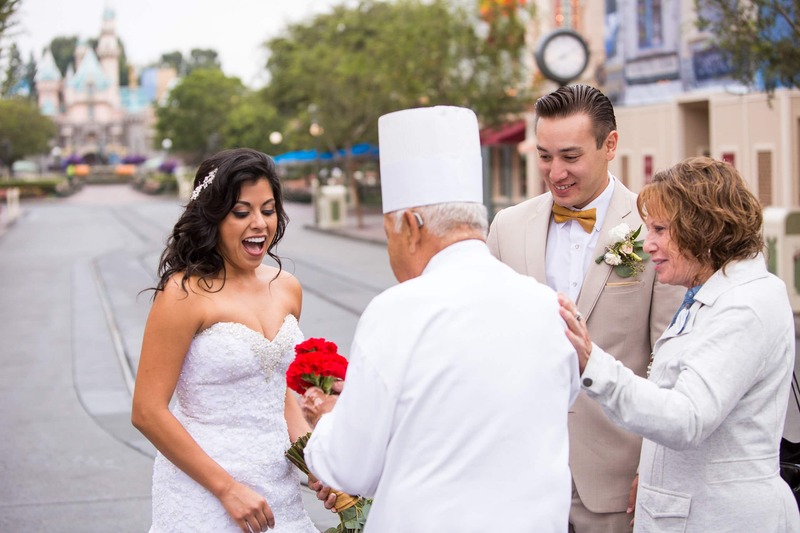 During Cristina and Kawika's morning portrait session in Disneyland Park, they were surprised with a visit from Chef Oscar. 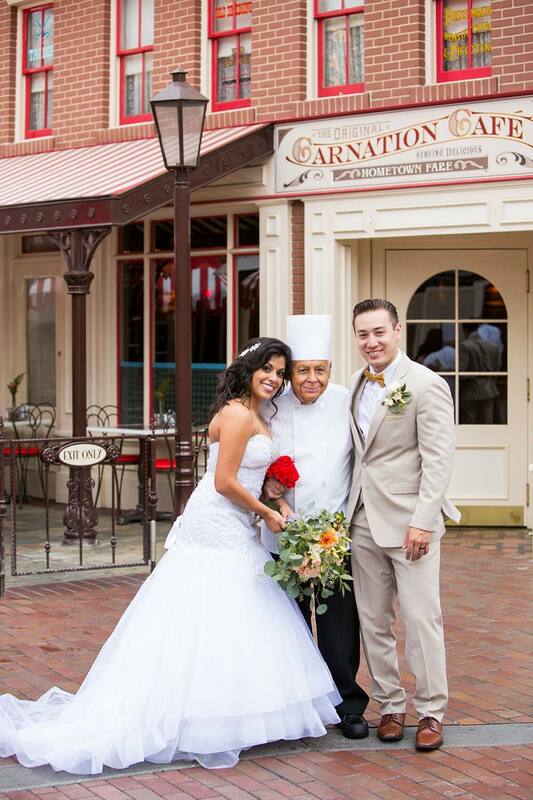 Oscar is the longest tenured Cast Member at Disneyland and has worked at the Carnation Cafe for just about 50 years. He originally joined the company back in 1956 and moved to his current position in 1967! 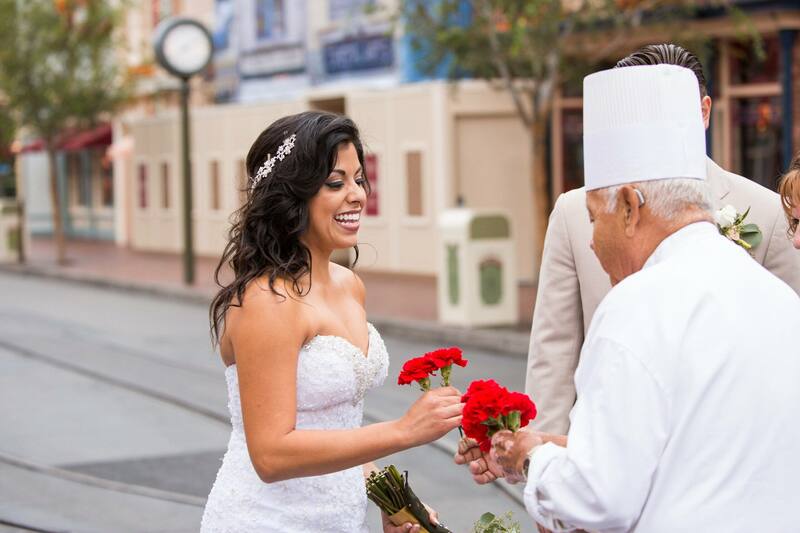 As a gift to the bride, he presented her with bright red carnations, which happen to be her favorite flower. Her father, who passed away three years ago, used to buy her carnations as a child. 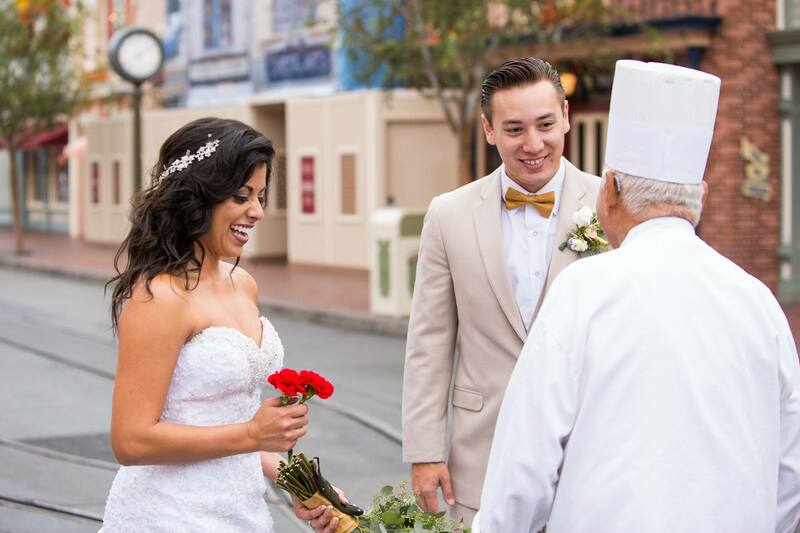 It was a magical moment and one more detail of what the couple described as "the best day of our life."